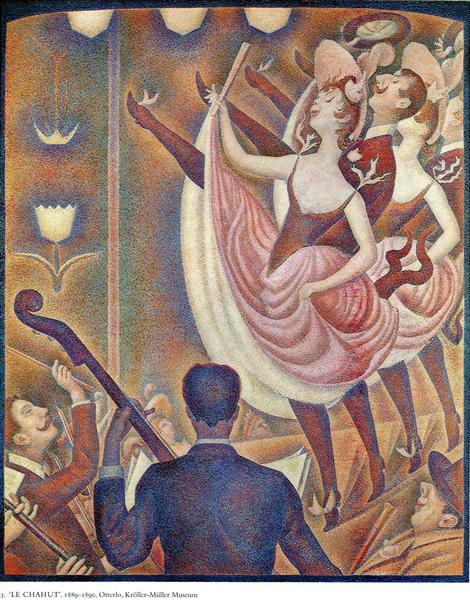 In 1879 Georges Seurat enlisted as a soldier in the French army and was back home by 1880. Later, he ran a small painter’s studio in Paris, and in 1883 showed his work publicly for the first time. 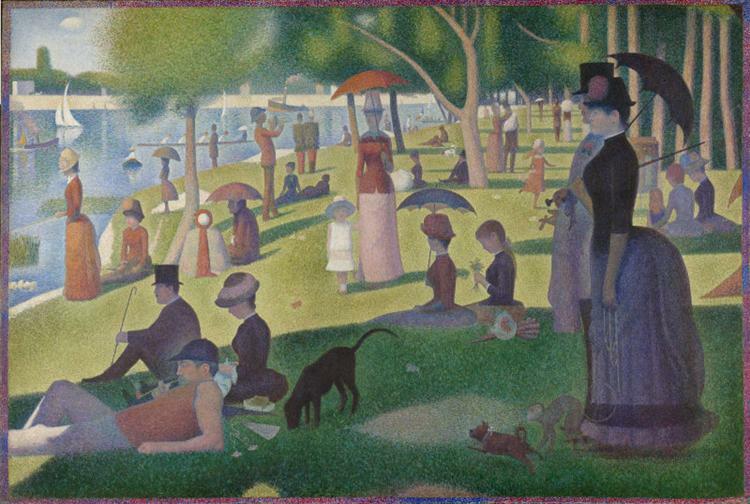 The following year, Seurat began to work on La Grande Jatte and exhibited the painting in the spring of 1886 with the Impressionists. 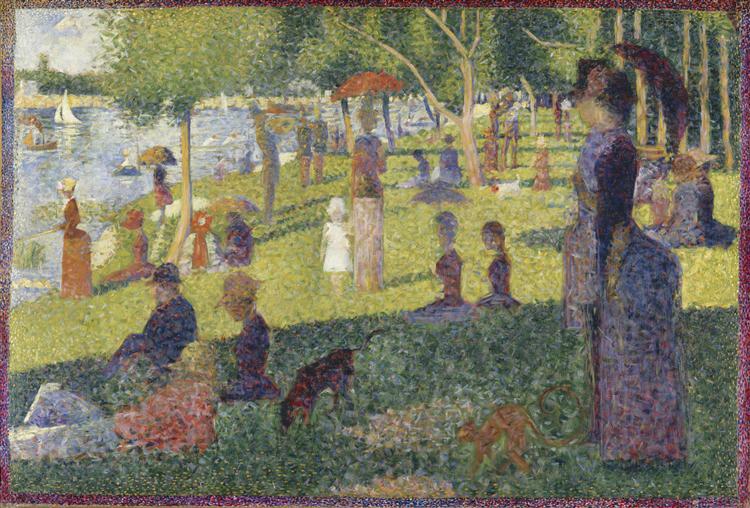 With La Grande Jatte, Seurat was immediately acknowledged as the leader of a new and rebellious form of Impressionism called Neo-Impressionism. 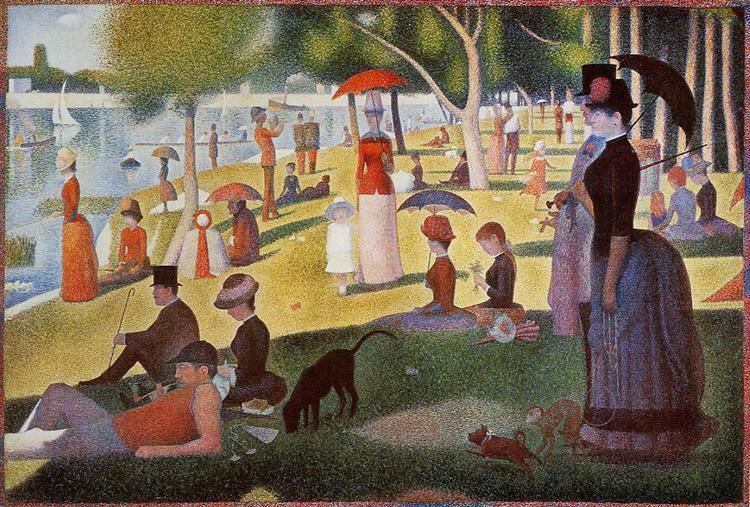 Seurat painted A Sunday Afternoon between May 1884 and March 1885, and from October 1885 to May 1886, focusing meticulously on the landscape of the park. He reworked the original and completed numerous preliminary drawings and oil sketches. He sat in the park, creating numerous sketches of the various figures in order to perfect their form. He concentrated on issues of colour, light, and form. The painting is approximately 2 by 3 meters (7 by 10 feet) in size. 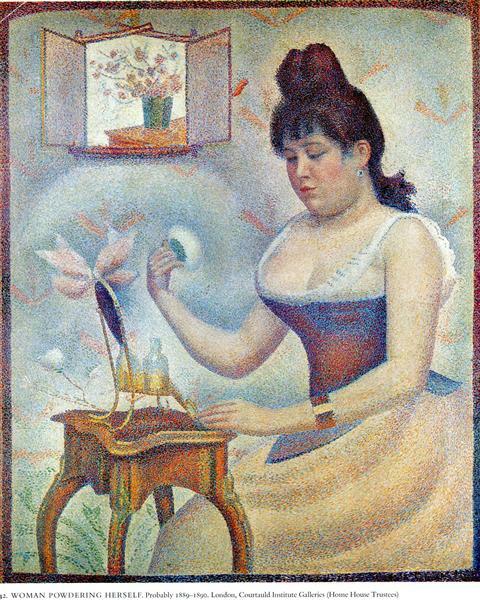 Inspired by optical effects and perception inherent in the color theories of Michel Eugène Chevreul, Ogden Rood and others, Seurat adapted this scientific research to his painting. 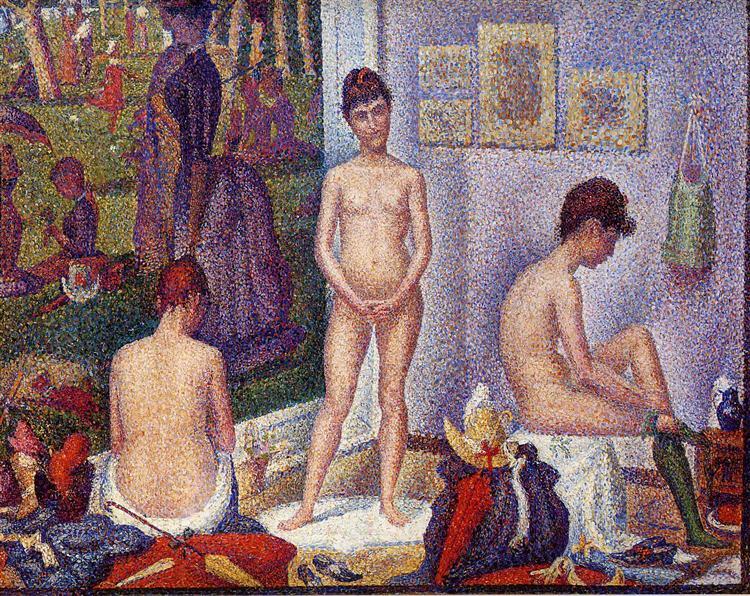 Seurat contrasted miniature dots or small brushstrokes of colors that when unified optically in the human eye were perceived as a single shade or hue. 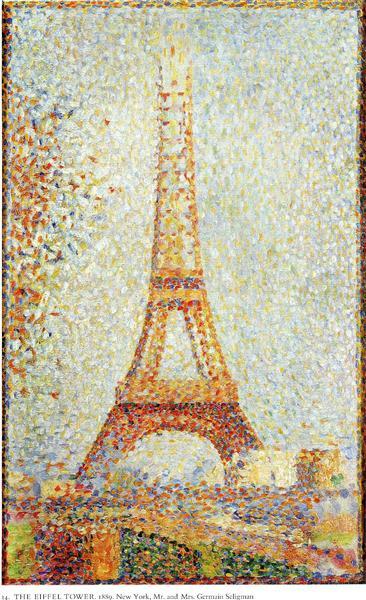 He believed that this form of painting, called divisionism at the time but now known as pointillism, would make the colors more brilliant and powerful than standard brushstrokes. 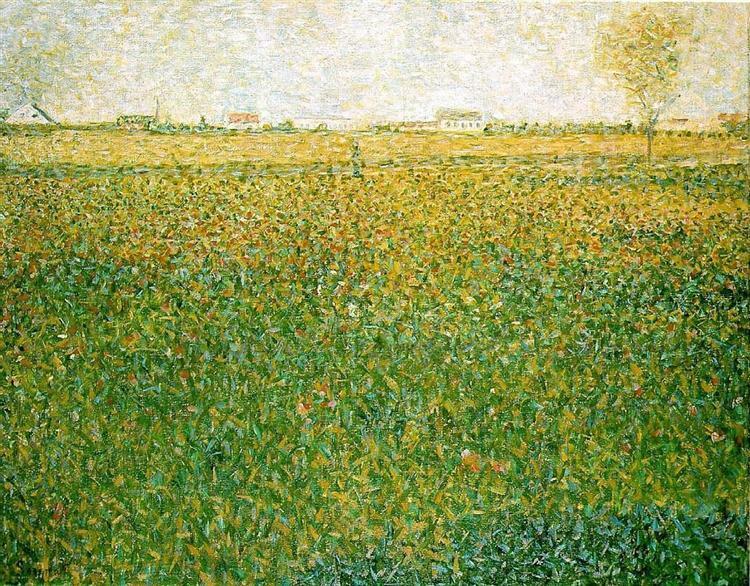 The use of dots of almost uniform size came in the second year of his work on the painting, 1885–86. To make the experience of the painting even more vivid, he surrounded it with a frame of painted dots, which in turn he enclosed with a pure white, wooden frame, which is how the painting is exhibited today at the Art Institute of Chicago. The Island of la Grande Jatte is located at the very gates of Paris, lying in the Seine between Neuilly and Levallois-Perret, a short distance from where La Défense business district currently stands. Although for many years it was an industrial site, it is today the site of a public garden and a housing development. 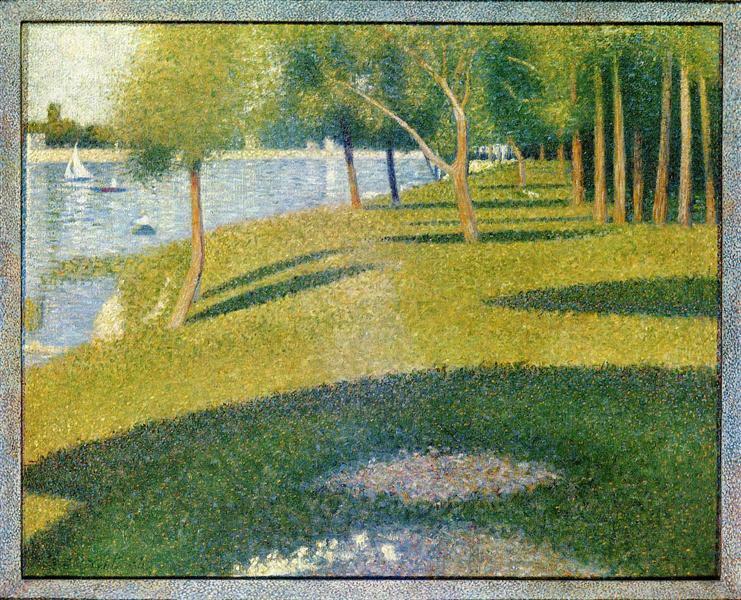 When Seurat began the painting in 1884, the island was a bucolic retreat far from the urban center. 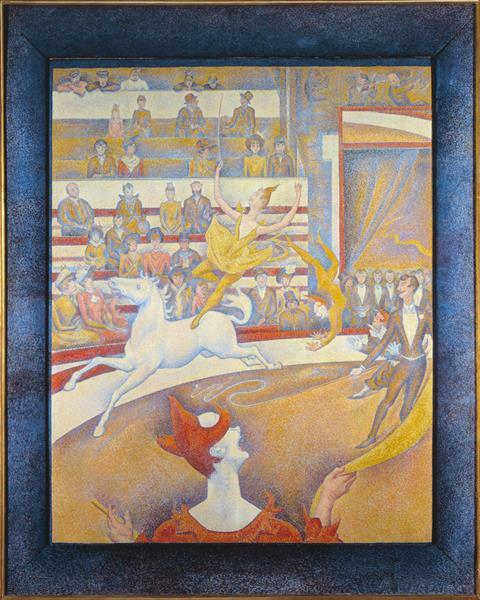 The painting was first exhibited at the eighth Impressionist exhibition in May 1886, then in August 1886, dominating the second Salon of the Société des Artistes Indépendants, of which Seurat had been a founder in 1884. 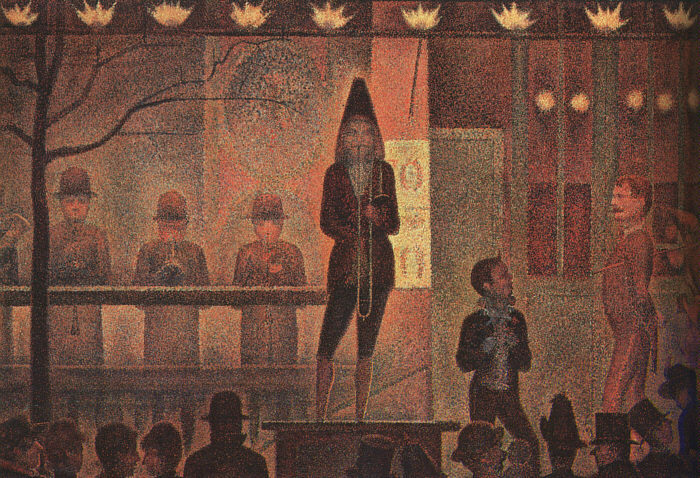 Seurat was extremely disciplined, always serious, and private to the point of secretiveness—for the most part, steering his own steady course. As a painter, he wanted to make a difference in the history of art and with La Grand Jatte, succeeded.